The double whammy of flat wages growth and rising living costs, most notably housing, has made saving money more difficult than ever for many Australians. Indeed, saving probably seems like a pipe dream to those of us struggling to make ends meet. But it’s not impossible and roughly three-quarters of Australians are giving it a go, according to the fifth and latest ANZ Survey of Financial Literacy in Australia, carried out in 2014. At the heart of any savings plan is a budget. Budgeting helps you prioritise your expenditure and find a balance between spending and saving across a whole year. 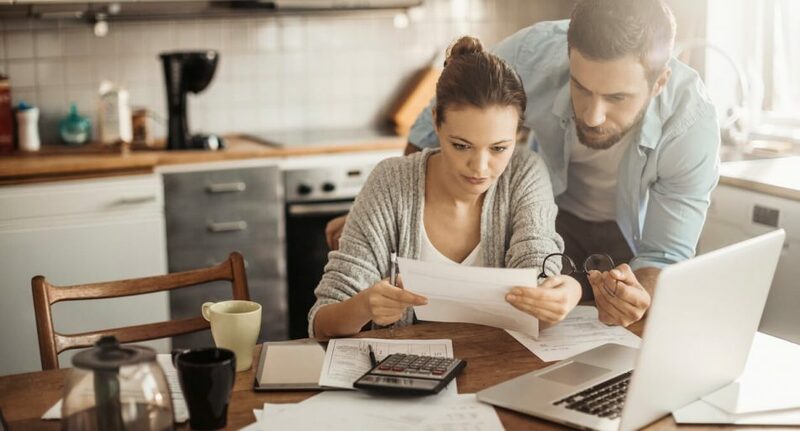 By checking your credit card statements, bills, banks statements and receipts, you can work out all your regular expenses, such as your rent or home loan, transport, insurance and electricity, says MoneySmart. It’s advisable to update your budget at least once a year. Or more frequently if your circumstances change significantly (e.g. getting or losing a job, having a baby). That’s why it’s important to keep track of your day-to-day spending, so you don’t live beyond your means. Your bank statement will tell you how much money is going into your bank account and how much is going out. You can then compare it with your budget to see whether you’re sticking to it or not. You can then identify areas where you can save. Just the thought of having to track our spending can ward off impulse purchases. With credit-card interest rates in Australia as high as 25 per cent or more, it’s easy to see how the rash use of a credit card can undermine even the most modest of savings goals. Paying your credit card in full and on time is the best way to avoid interest charges and late-payment fees. By restricting access to your money, savings accounts can give you a higher interest rate than a basic transaction account. Savings accounts are somewhere you can put some or all of your discretionary income – the amount left over after paying for personal necessities and tax – and any windfalls (e.g. tax refund). You can ward of the temptation to spend this discretionary money by setting up automatic, scheduled transfers from your main account (transaction account) to your savings account. Kylie Travers, the CEO of Occasio Enterprises, which owns and operates several personal finance websites, says rounding down your transaction account balance is a way to glean extra money for your savings account. Insurance costs can run into several thousand dollars a year, so a saving of 10% could equate to hundreds saved. Cutting your fuel costs requires constant vigilance: MotorMouth and accc.gov.au will tell you which service stations have the lowest prices and the best day of the week to fill up respectively. Even if you’re happy with your mobile and internet service providers, ask them if they have a cheaper plan. This is information they don’t always volunteer to existing customers. Credit cards, ATMs and online shopping make it easier than ever to spend money. Especially on things we want rather than need; the extent to which we succumb to temptation typically boils down to our willpower. Studies have shown that self-control is a bit like a muscle that tires out with use. Ironically, it’s the willpower of poorer shoppers that tends to get depleted the most. This is a result of the fact they face repeated, difficult financial decisions. It protects people on tight budgets from bill shock and having to go into debt and potentially pay interest. MoneySmart recommends you add up how much your big bills cost in total for the year. That way you can work out how much to put away each pay in advance. By putting this amount aside each time you’re paid, you’ll always have money available to cover your next big bill. simplesavings.com.au advocates using the food you already have in your cupboard, pantry, garden and freezer to save money. If a family of four does this, it won’t have to spend more than $21 on its weekly groceries. Which is roughly $300 less than a household of that size typically spends. Do this one week a month, and in a year you’ll save about $3,600. The key to the ‘$21 Challenge’, says simplesavings.com.au member Mandy Danko, is to do a stocktake, a menu plan, and shopping list. Chances are the vendor in question knows you’re less price sensitive than most prospective customers. They could be taking advantage of your loyalty or, worse, taking you for granted by charging you noncompetitive prices. Don’t allow your emotional connection to a vendor to get in the way, start looking for a better deal elsewhere. Just the threat of leaving may prompt a better offer from your current supplier. They’ll understand retaining existing customers is usually far cheaper than winning new ones. And if they don’t give you a discount or free upgrade, for example, don’t despair. More than likely, there are other companies lining up to give you a good introductory deal. However, while thrift is an obvious way to save, we need to guard against being too frugal, says Emma Johnson, founder of WealthySingleMommy.com. The planner also allows you to upload an image of the thing you’re saving for. Research shows pictures can provide you with added motivation to achieve your goal.